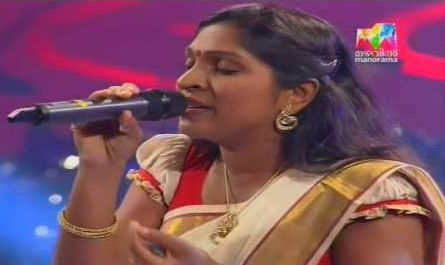 Kochi, 14 October 2012: Selin Jose from Kasargode has won the first edition of the popular musical reality show Josco Indian Voice telecasted in Mazhavil Manorama channel. Selin won the grand prize of 1 crore worth villa from Travancore builders and a chance to sing a song in the upcoming Bollywood movie directed by Priyadarshan. K. Siyad from Ottapalam secured the second spot, followed by Vishnu Raj, Bibin and Priya Jerson. Siyad secured a chance to sing in the next Malayalam film of Priyadarshan and won gold worth 25 lakh rupees. The grand finale held yesterday at Kochi was attended by celebrities such as actor Mohanlal, director Priyarshan, actresses Ramya Nambeesan, Samvritha Sunil, singers Shankar Mahadevan, G Venugopal, Sujatha, Srinivas, Mano, Music director Sharreth etc.